Not ready yet? Learn more about us below. * Terms and conditions apply. Offer expires 30/04/2019. 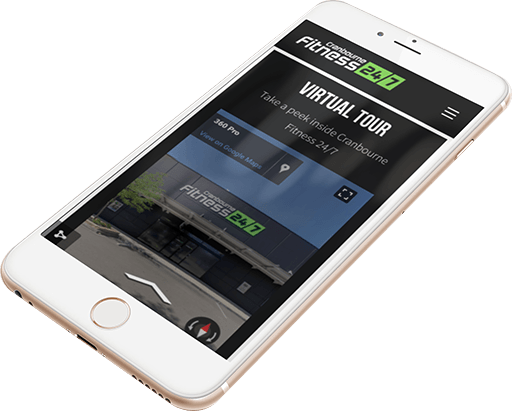 Virtually walk through the front door and check out our facilities in our 360° tour. This is a 30 minute core strength & ab toning class. For all fitness levels. This is a firming, strengthening and toning class for all areas of the body. It is done using adjustable weight barbells to music. High Intensity Interval Training is a 30 minute fast paced class to designed to work the cardiovascular system! 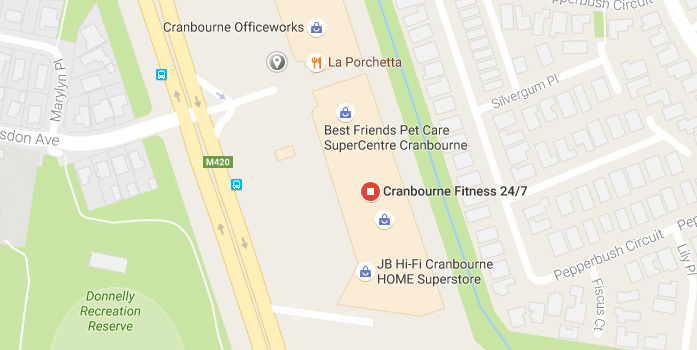 There is plenty of free parking in Cranbourne Homemaker Centre including disabled parking and wheelchair access. Follow our Facebook page for news, videos, and special offers.